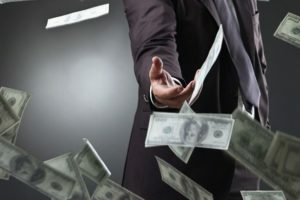 Being the successful person that you are, your years of diligent contributions to your retirement fund, along with your well-planned mortgage repayments, have paid off – not only do you have the security that you are saving well, but you’ve managed to do so and still have a nice pile of cash in the bank! So it’s time to take it to the next level. You know you should be investing as the return for sitting on cash is super low, but you’re not quite sure what you should be investing in. To help get the process started, we’ve put together the basics of stocks and bonds. This should help you to get your head around your options and one step closer to knowing where to put your money. Why Invest in Stocks or Bonds? Stocks and bonds are the most popular financial assets. Almost every financial plan that’s created includes some kind of investment in one or the other, or both. But why? Is not like they look like Zac Efron or Margot Robbie, so why all the fuss? The three main reasons for their popularity is their liquidity, tax and diversification benefits (sorry, I know… buzz killer). Say you own an investment real estate property that you want to sell. It could take anywhere between 3 and 9 months before you see that money in your bank account after you put it for sale. Now, if you wanted to sell a bond or a stock you could have that money in your bank account within three days. That, my friend, is called investing in something liquid. Stocks and bonds also have tax benefits, as you can invest in them through retirement accounts (i.e. 401(K), IRA, 403(B)). Whereas those memorabilia baseball cards that you tell your wife are a great investment, sorry, you can’t count them towards your IRA or 401(K). Lastly, there are diversification benefits. 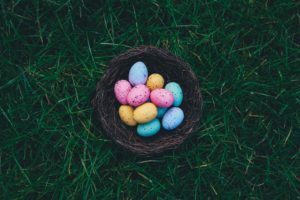 If you have $500k in savings and you invest in an investment property, you literally have all your eggs in one basket. If the investment doesn’t pan out, all your savings suffer. If you were to invest that $500k into an index ETF that mirrors the 500 largest public companies in the United States, you will smooth out individual company risk as you will get exposure to essentially the whole market. Ok, so the popularity of stocks and bonds popularity seems to have a good reason for being, but what are the differences between the two? It comes down to their structure, risk and expected returns. Imagine that you’re Elon Musk, CEO of SpaceX and you’re trying to raise money to expand your SpaceX operations. What main options do you have? Well, you can issue stock, which is selling a piece of the company in exchange for cash, or you can issue debt (i.e. borrow money) with the agreement to pay interest for the use of the money until you pay it back. Ok, back to being you. As an investor, you could purchase stock i.e. you hand over cash for a share in the company, or you could purchase a bond i.e. you loan them cash, you receive interest for a certain period of time, then they repay you. When you own a stock, you own a piece of the company, which is also referred to as a share in the company, or equity. So how do I make money i.e. generate a return, by buying a stock? Stocks offer dividends – regular or varying payouts to shareholders. If the stock price increases above what you paid, you could sell your stock and make a profit. Each offers you the chance (never guaranteed) of growing your initial investment. But, and we all know there’s always a but… stocks come with significant risks as well. Stock prices can swing around wildly, as their entire value is based on the future potential profits of the company, which are often difficult to predict. So, just as stock prices can go up, they can come down. If the company goes bankrupt, shareholders are last in line to get whatever is left of the company (debt is paid first, which we discuss later on). OK, so stocks are shares in a company that offer me a number of possible return opportunities, but they also carry a high level of risk. Got it. But with so many companies selling stocks, how do you know which ones to invest in? Stocks vary from shares in new small-capitalization companies to those in big, well-established, large-capitalization companies, like Apple or Microsoft. While most stocks are structured in the same way, the financial information that goes into the stock price is broad and complex, which is why individual stock investing requires significant research and due diligence (in another blog we will dig deeper into the fundamental drivers of stock returns like future earnings, dividends and valuations). In fact, it is so difficult to be a great “stock picker” that most people are unable to beat the broad market consistently. Because of this, it is often easier and cheaper to invest through low-cost Exchange Traded Funds (ETF) or index mutual funds. These vehicles contain a number of different stocks, often across a number of sectors (and sometimes countries) and thus you end up “owning” the overall “market” itself. Bonds, in contrast, are debts that a company or a government has taken out (SpaceX takes out a loan and pays interest on it, remember). When you buy a bond, you’re essentially lending the company money in return for regular interest payments. Principal: original loan amount i.e. the value of your investment. Maturity date: the date on which the principal is repaid. Coupon: the interest that you receive as an investor. So how do I make money i.e. generate a return, by buying a bond? Interest income – regular coupon payouts to bondholders. Capital gains – if the bond price increases above what you paid, you could sell your bond and make a profit. If you invest $1000 in a bond that “matures” in 10-years, that pays you 5% interest, you will receive a $50 coupon every year (usually divided into four quarterly payments of $12.50) and after 10-years you’ll receive your original $1000 back. In this case, your return is in the form of interest income. But, if after 5 years interest rates fall and your bond is priced at $1,100, you may decide to sell it to lock in the $100 gain. You would have earned less interest income but you would also have gained value i.e. capital gain. While no bond is completely safe, their prices are generally more stable than stocks, as the coupon you receive is agreed upon at the outset, so there are no surprises (whereas with stocks the price can fluctuate daily) and if the company goes bankrupt, bonds and other debts are the first to be paid from the company’s remaining assets. 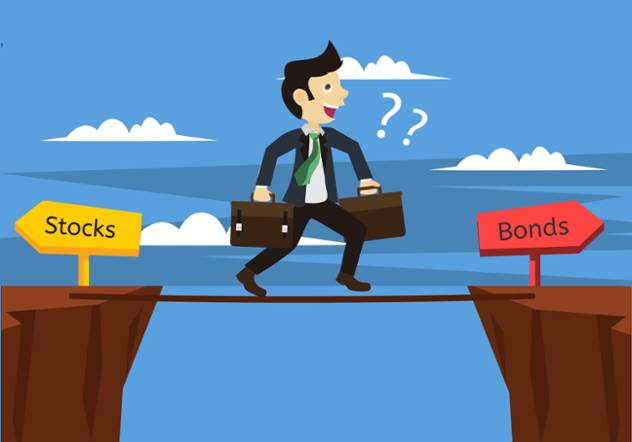 Ok great, so you want to invest in bonds but the same issue comes up as with stocks – how do you know which bonds are best? All bonds have a credit rating, which is a formal evaluation of how likely the company is to pay back the bond. Normally, as with all investments, the better the credit rating, the lower the coupon (interest rate) as the investment is less risky. In contrast to a traditional loan, the company does not need to and usually cannot pay back any of the original bond principal until the maturity date. Because of this, bond trading is generally less “liquid” than stock trading – it could be more difficult to sell a bond or get your money back before the maturity date, whereas a stock you can sell at any time. Either way, we don’t recommend you sit there and read through a menu of bonds to purchase unless you have a really, really boring life. 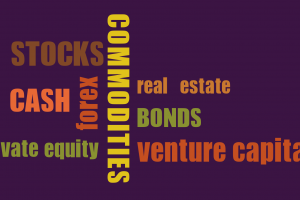 The more liquid and economical way to invest in bonds is through a well-diversified, low-cost mutual fund or ETFs. Investing in stocks, whether individually in each stock or through investment vehicles like mutual funds and ETFs, is inherently riskier than bonds. On the other side of the coin, because of the higher risk, you’re also expected to receive a higher return than if you were to own a bond. For instance, over the last 10 years, US stocks were much more volatile than bonds but they provided 7.6% yearly returns versus 4.4% for bonds**. The illustration below is totally oversimplified as there are cases where a bond can be riskier than a stock or have a higher expected return, but generally speaking the more risk you take, the higher your expected return. By the way, if you noticed, we threw cash into the mix as it is an investable asset that just happens to have the lowest risk and often, the lowest expected return. So as a young person with an IRA or 401(K), or a parent creating a 529-plan college planning account, you may be more willing to take on risk and buy stocks, as you have a longer investment horizon. Stocks can go up and down wildly, but a balanced and diversified stock investment strategy has a strong chance of providing greater returns than bonds over an extended timeframe. In contrast, if you’re about to retire, or even in retirement, you may not want the risk associated with stocks when you are going to be relying on your investment funds very soon. In this case, bonds may be more useful as they will generate returns that are both more consistent and more reliable than stocks. 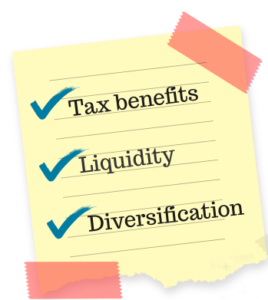 There are also certain tax benefits associated with bond income, but that’s for another time. Having said that, you can always mix both stocks and bonds in your investment portfolio (keep things interesting!). The decision to do so depends on your investment horizon, risk tolerance, and financial goals. A great starting point is to know where you stand today. 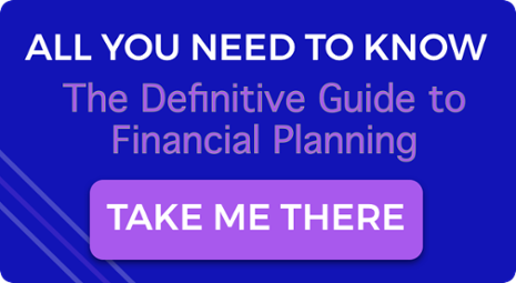 Working with a fee-only financial advisor or fiduciary financial planner, are a recommended way to organize your personal finance life and highlights areas that need attention. * SpaceX is used for illustration purposes only. This does not constitute an endorsement to buy or sell the stock of the company. **The S&P 500 index represents “U.S. Stocks” while the U.S. Barclays Aggregate Index represents “U.S bonds”.